Most people’s image of hydrogen fuel is the incredible video footage of the Hindenburg airship alight in flame. It is powerful and intense. So much so that it’s become synonymous with hydrogen use. So is hydrogen flammable? Yes. Is hydrogen dangerous? More dangerous than the gasoline that powers most of the world’s vehicles? No it is not. In fact, it is safer. In this blog, we’ll discuss why hydrogen is safer than conventional fossil fuels. We’ll also look at the extensive safety features of Ballard’s hydrogen fuel cell modules and fuel cell powered vehicles. 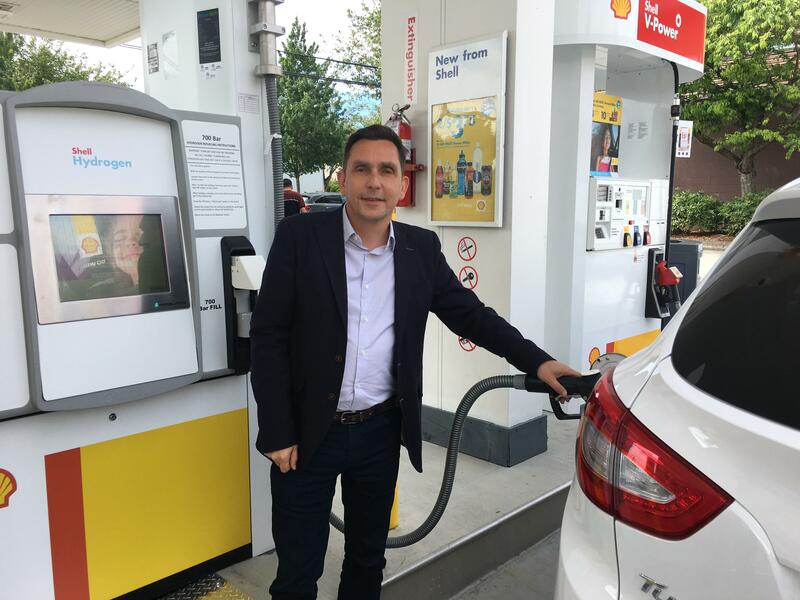 Ballard Power Systems’ Nicolas Pocard fueling a hydrogen-powered vehicle. Hydrogen Safety Facts: Why Is Hydrogen Safer Than Fossil Fuels? It is 14 times lighter than air: if released, hydrogen disperses quickly, rising into the atmosphere at a rate of 20 meters per second (at normal ambient temperatures). 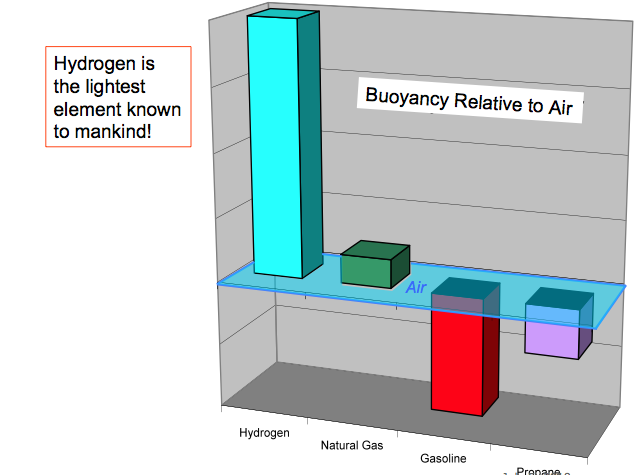 In comparison, propane and gasoline vapor are heavier than air. If released, they pool at ground level, where any accidental ignition presents a clear danger. The flames emit low radiant energy, which means they’re less likely to move to surrounding areas and spread fire. It is non-toxic: leaks or spills do not contaminate the environment. It is less combustible: gasoline in the air is flammable at a lower concentration limit of 1.4%, compared to hydrogen’s 4%. To put it another way, gasoline is two to three times more flammable in the air. The optimal mixture for hydrogen combustion is 29%—which in the real world is quite unusual, since hydrogen rises and will generally diffuse. Gasoline vapor’s optimal mixture for combustion is only 2%—a ratio that is very easy to reach. 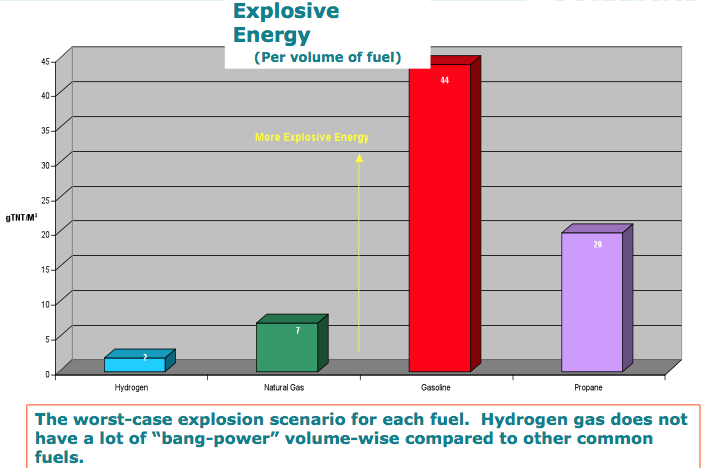 Flammable mixtures of hydrogen have relatively low energy density compared to other fuels. The fuel storage tanks used in cars and buses are extremely robust, especially when compared with vehicle gas tanks, which are typically made of plastic. Typically these fuel storage tanks are carbon-fiber wrapped cylinders that are lined with metal (Type III) or polymer (Type IV). They’re far stronger and more crash-safe than conventional gasoline tanks. Each tank is equipped with its own thermally-activated pressure relief device that is designed to safely vent the tank’s contents if temperatures rise. Tank testing standards are nationally and internationally recognized (meeting SAE International/FMVSS and Global Technical Regulation standards) for a typical service lifetime of 15 years. Manufacturers are confident that their tanks could qualify for 20+ years of service life with additional testing. And if there is a leak, then what? At some point over its service life, any fuel cell system could develop a leak. This could happen because of a vehicle collision, poor maintenance, or age. But if it happens—what then? A small leak may trigger an early warning, to allow a driver to stop and park the vehicle while it is still safe. Collision sensors are designed to activate a “safe shutdown” sequence that locks the high-pressure hydrogen in the tank, and isolates the high-voltage components from the system. Final thoughts: Why choose hydrogen? So is hydrogen explosive? Yes—but it’s inherently safer than conventional fossil fuels. 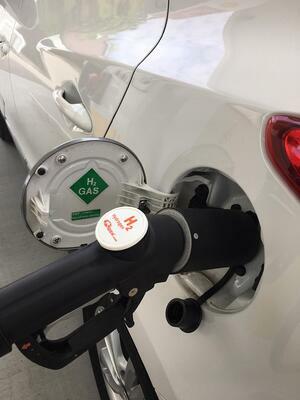 As with any fuel, hydrogen must be treated with respect and care. Perhaps it’s simple familiarity, but people are generally comfortable with gasoline—even though it’s far more flammable and dangerous than hydrogen. Furthermore, today’s hydrogen fuel cell technologies are mature in their safety features. Ballard systems are designed and built for safety, and the protocols for safe storage and refueling are well developed and understood. Hydrogen fuel cells are key to zero-emissions heavy-duty transportation systems, including bus, rail, and truck transport. Hydrogen can be produced from renewable energy. Hydrogen fuel cells are proven in real-word use: Ballard-powered fuel cell buses have travelled millions of kilometers, carrying billions of passengers, for years. Have any questions for us about hydrogen safety? Let us know in the comments and we'll get back to you with some answers.